GKN OffHighway Division, a global supplier of equipment to the agricultural and construction industries, has increased business acumen among engineering and operations staff with an ILX financial competency e-learning solution. GKN Offhighway has used the ILX 'Finance for Managers' suite of courses over the last year to help 100 senior managers increase their understanding of how decision making can impact business performance. The business acumen improvement programme was initiated by CEO, Martyn Vaughan. "Many of our senior managers come from engineering backgrounds but they are increasingly expected to make important decisions that impact the company's financial performance. We needed a simple way to help these managers improve their practical financial understanding. 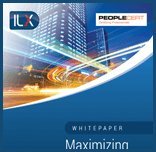 The ILX courses have proved to be highly effective as a method to train a large number of people consistently across several countries and has proved very effective and easy to use." The success of the ILX courses with senior managers has prompted GKN Offhighway to extend this programme to a further 200 staff throughout the Division. They will also use FACT, ILX Group's web-based, financial competency assessment tool, to identify individual knowledge gaps and target training in the most effective way. The GKN Group has used a range of ILX financial e-learning products since the mid 1990s. Currently, GKN Aero in the US and the company's largest Division, GKN Driveline, have also launched financial competence improvement programmes. "GKN is one of a growing number of leading, world class corporations which recognise that it is critically important to the business that managers are given the financial knowledge and understanding they need to make more informed business decisions. This is borne out by that fact that increasingly we are seeing financial competence training programmes like those at GKN being driven by CEOs and CFOs." GKN plc is a leading global supplier to the world's automotive, offhighway and aerospace manufacturers. GKN provides technology-based, highly engineered products to virtually all of the world's major manufacturers of light vehicles, agricultural and construction equipment, aircraft and aero engines. 40,500 people work in GKN companies and joint ventures in more than 30 countries. The Group's OffHighway Division produces a unique portfolio of products and systems from wheels to continuously variable transmissions. In wheels and power take off shafts it is the acknowledged world leader.